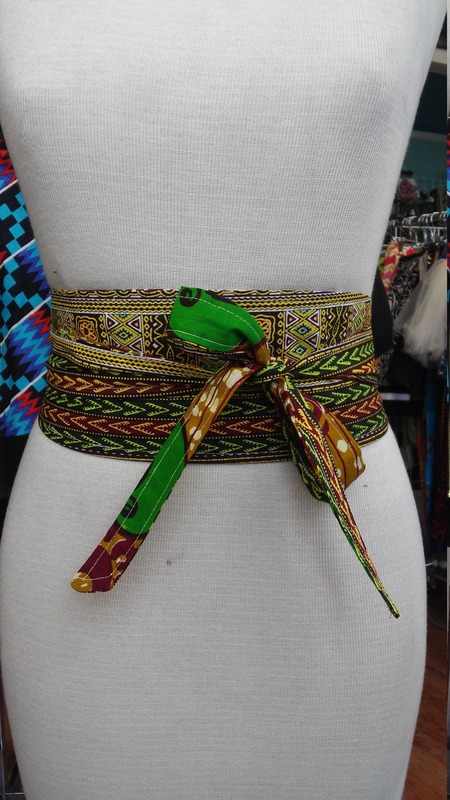 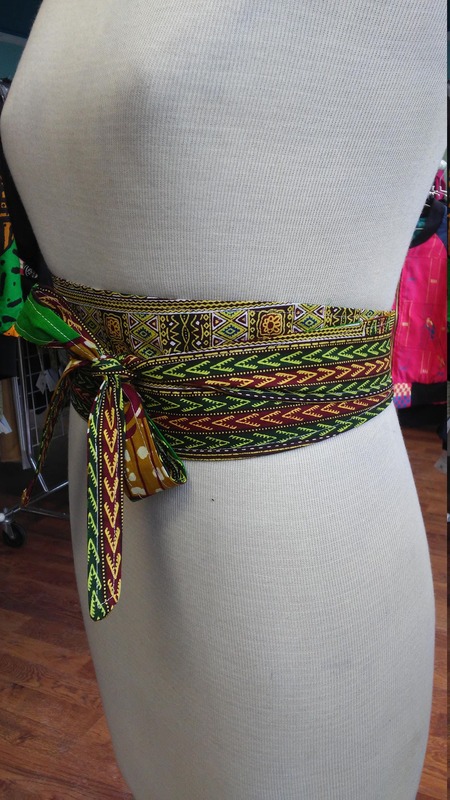 These stylish Obi belts are a perfect addition to your favorite dress, tunic, or long cardigan. 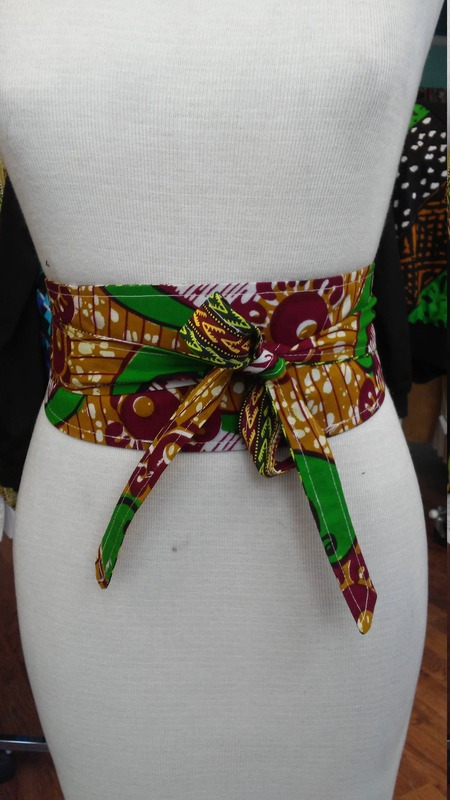 It is handmade with a bright wax block fabric from Africa. 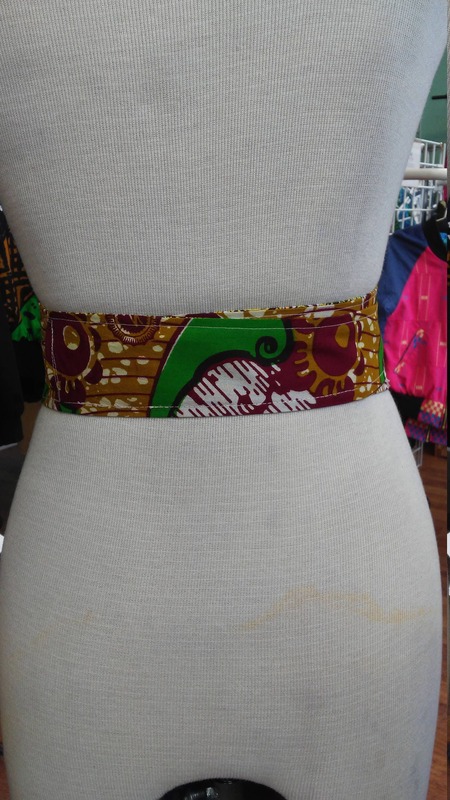 These belts are 100% reversible and are made with a slip hole to slide the tie straight through for a more sleek fit. 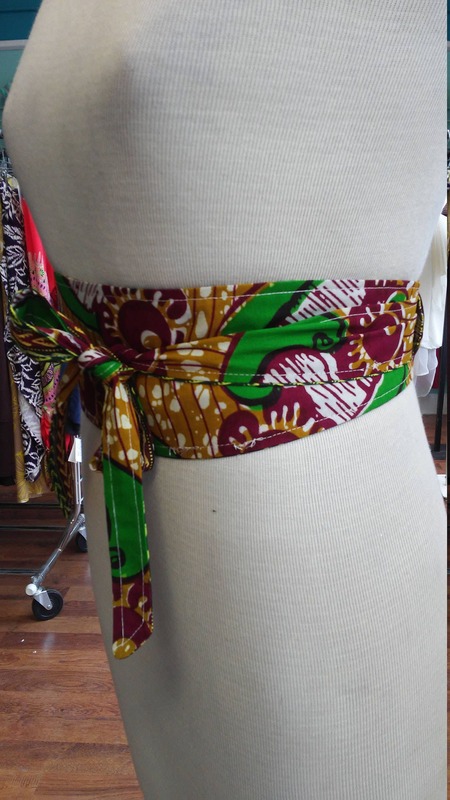 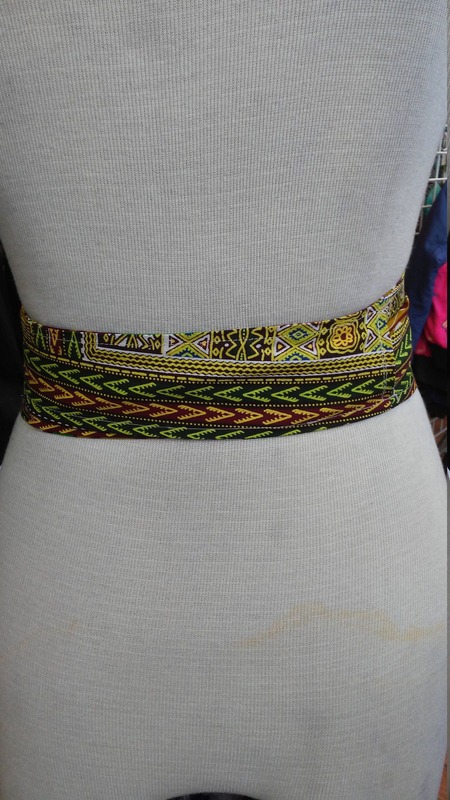 Worn around the waist, accentuate your curves and cinch your waist with one side, then flip it over to show off another unique pattern.